With the Republican Presidential candidates holding their 199th debate of 2011-12 right here in the Valley this coming Wednesday, now is probably the worst time ever for one of them to lose a top campaign staffer. Mitt Romney will now have to scramble for a new co-chair for his Arizona campaign, after Pinal County, AZ Sheriff and U.S. Congressional candidate Paul Babeu “stepped down” after reports came out (no pun intended) that he threatened to deport his male Mexican boyfriend if he told anyone about their sexual relationship. 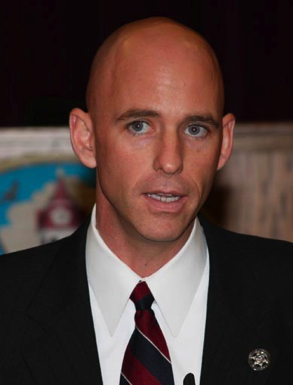 Babeu has since confirmed the misconduct and his homosexuality. Arizona holds its primary, with 29 convention delegates up for grabs, on Tuesday, February 28.
but for far different reasons than the proverbial left/right vitriol. What constitutes being “conservative” in the USA for the purpose of a 2012 Republican Presidential nominee is subjective based on who you ask. One conviction universally accepted among “true conservatives,” however, is that homosexuality = liberal. 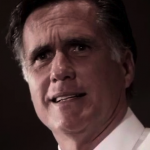 Romney has alienated himself enough from much of the general American population because of his arrogance and aloofness. From the $10,000 bet, to saying he is not concerned with the very poor, Romney’s only real chance at winning a general election is securing the “conservative” Republican vote. The Massachusetts universal health care bill, passed when he was governor of the state, by definition, is “liberal.” Gay marriage (also made legal in Massachusetts during Romney’s gubernatorial stay) is also “liberal.” Homosexuality is considered sin to conservatives. The fact Romney is now indirectly associated (which is all it takes for fickle American voters) with an “openly-gay” Arizona sheriff who allegedly abused his power, only adds to his problems with the base of voters he must secure. Money can only buy Romney so many votes. He and President Barack Obama are virtually the same person politically (both pro-war and pro-bank), and the Obama campaign will have even deeper pockets than Romney if that is in fact the matchup. 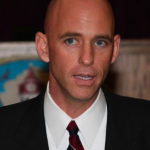 Michigan holds its primary on the same day as Arizona and those two contests will say a lot as far as the damage Sheriff Babeu’s indiscretions will do to Romney campaign.